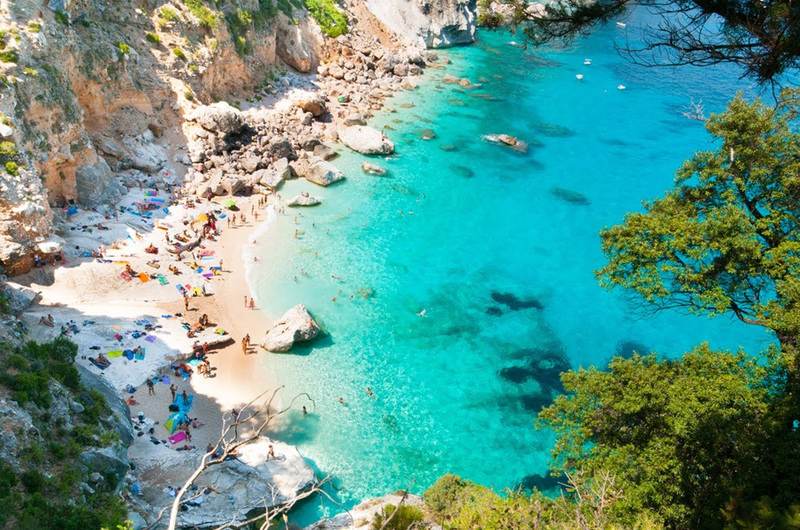 One of the most famous bay in the entire meditteranean area, named “Italian national monument” on 1995, Cala Goloritzé is the flagship of the Ogliastra coast. With its extraordinary beauty and cultural interest, joins both the love for sea and for excursion. Reachable by sea or by land, this wonderful bay is an obligatory step for visitors to Ogliastra and Sardinia. 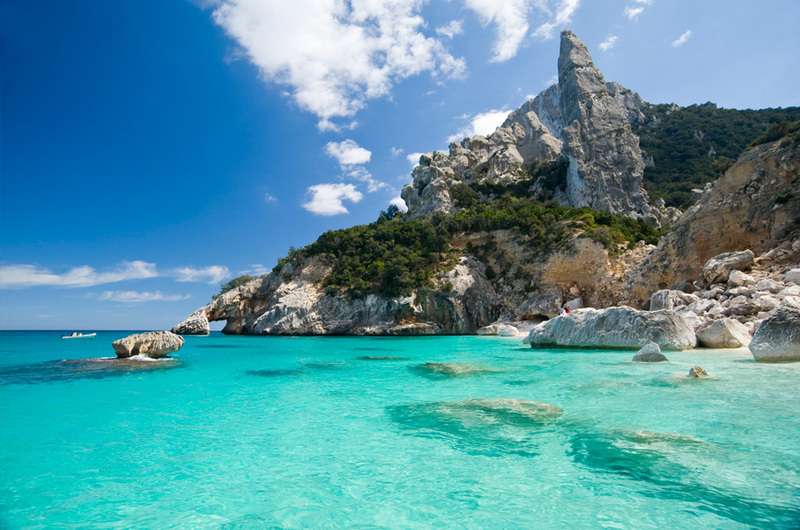 The color of its water, submarine springs, marble rocks, the featured arc reveald in the rock is just some of the wonder that make this spot of Sardinia a heaven on earth. 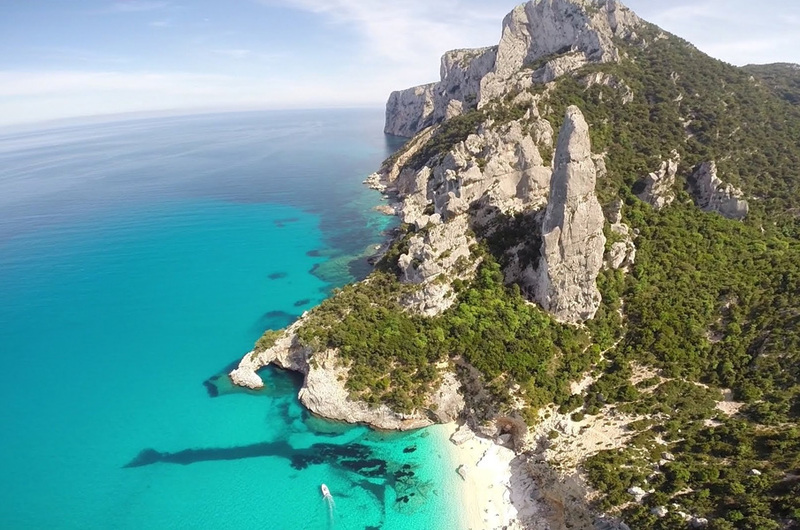 “Corrodi mount” that rises from the beach is perfect for free climbing lovers. Reachable through a path, that from hinterland brings to all the way to beach, is an unforgettable experience where you can enjoy of the rich vegetation. Most luckiestes could catch sight of the queen’s hawk, rare species that lives in this area. 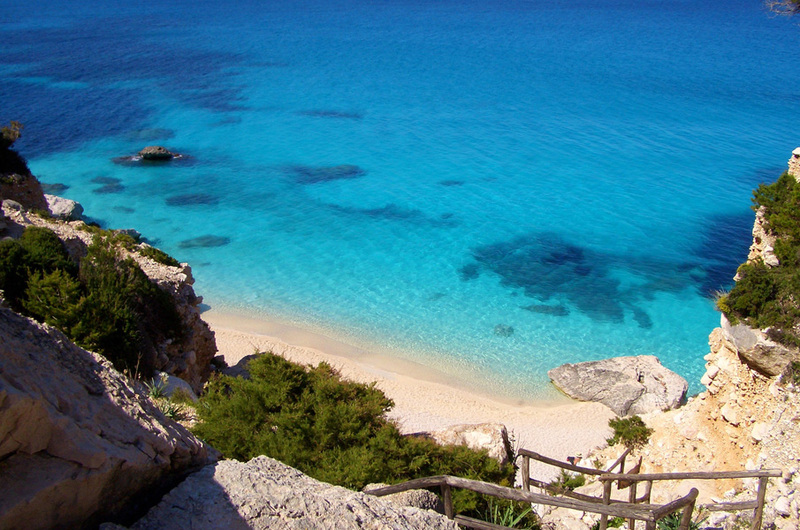 A trekking route, that bring all the way to “Cala Luna” and keeps to “Cala Goloritzè” . The itinerary needs about one hour to go and one hour and half to go back, accessible for whoever is used to walk. After parking near the rural church “San Pietro”, it is necessary to follow the directions. Services: restaurant and bar only in the parking area. In the tracking path there aren’t services.